Difficulty unloading Activision may force Vivendi to raise cash by selling another one of its properties instead. Rumors of a potential sale of publishing giant Activision first came to light in early June, when it was reported that Vivendi SA, which holds a 61 percent interest in the company, was anxious to offload it in order to raise some much-needed cash and boost its sliding share price. The desire to sell has gone from rumor to accepted fact over the past month or so, bolstered by reports yesterday that banking giants Barclays and Goldman Sachs had been brought in to help broker a deal. The trouble for Vivendi is that nobody appears particularly interested in taking on Activision, which currently boasts a market value of roughly $8.3 billion. Vivendi was originally seeking a 25 percent premium over that value but when companies including Time Warner, Microsoft, Apple and Facebook all took a pass, it said it would consider going as low as a 12 percent premium, which still wasn't enough to attract serious interest. 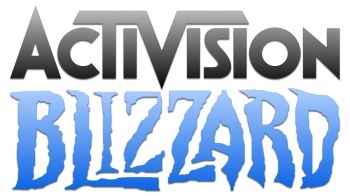 Also on the table is the possibility of Activision itself buying out Vivendi's interest. Activision has hired J.P. Morgan and Allen & Co. to provide guidance on a potential buyout, but whether it can put together the funds needed to make the deal happen is a question mark. "Vivendi was hoping to get at least a bidder to challenge Activision's management and get a decent premium," a source said. "But it didn't happen so now they are considering other options to raise cash and maintain the rating in the short term." At this point, the deal appears to be on the shelf. "Vivendi will now think about its options on Activision and take a decision in the coming months," the source said. Instead, the company is now reportedly considering a sale of Brazilian telecom giant GVT, which has a higher market valuation than Activision - $10.42 billion - but may be more likely to bring the price that Vivendi wants. Until recently, GVT was considered a "must-keep asset," but the inability to find buyers for Activision coupled with anxiousness to reduce its current $17.2 billion debt load means the option "is no longer taboo and is now being considered internally."